This video definitely emphasizes the dour way the last episode, “Too Far Gone,” wrapped up. Things are not looking particularly rosy for the survivors. One beloved character met his end in an exceedingly brutal and gruesome way, the prison stronghold they’d been calling home lays in smoldering ruins, and the group has been splintered. AMC’s perpetually uneven zombie drama The Walking Dead returns tonight, and I can’t help but wonder which show we’ll get. Will it be the occasionally brilliant show on display in the mid-season finale or in episodes like “Clear”? Will we get genuine shocks and twists, or will the show spin its wheels on things like flu outbreaks or babysitting with the Governor? 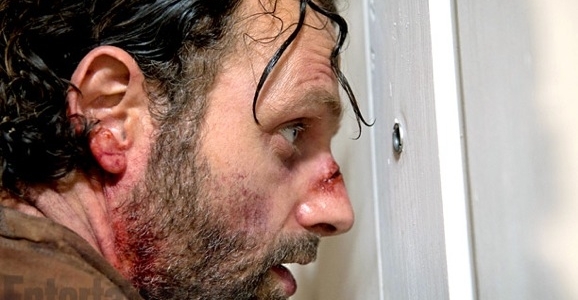 Between the deaths, the loss of the prison, and the dissolution of Rick’s core group of survivors, the status quo has certainly been shaken up. We know Rick and Carl are on their own, at least for a while, and as for the rest? Time will tell. 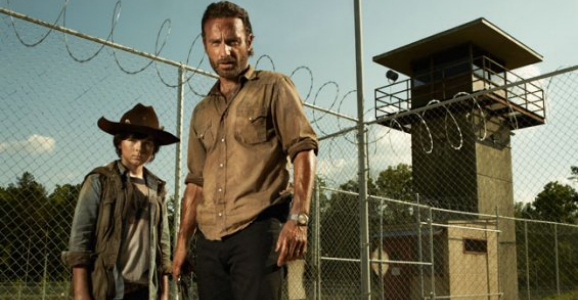 After a two-month hiatus, The Walking Dead will return with new episodes tomorrow night. Wrapping up season four and setting up season five will not be an easy thing to do. There are still some burning questions out there that the series’ writers have yet to answer, such as who fed the zombies rats at the prison fences, what was the mysterious message on the radio, will Tyreese discover that Carol killed his beloved Karen, and what really happened to baby Judith Grimes? Before the season four premiere back in October 2013, Robert Kirkman teased the addition of three new characters Abraham, Rosita, and Eugene from the widely popular comic book series to the TV series. It does not look like it’s going to be a good time when AMC’s The Walking Dead returns on February 9. Scratch that, it doesn’t look like it’s going to be a good time for the characters on the show. From the appearance of these seven new images just released to hype the second half of season four, fans of the highly-rated zombie drama may in fact be in for a very good time. Or at least in for lots of excitement, tons of tension, and their favorite characters in all manner of precarious positions. These pictures, unveiled by Entertainment Weekly, pick up the group in the wake of the midseason finale, “Too Far Gone,” after the group of survivors have been forced to flee the relative safety of their prison stronghold. We knew they were in for a rough go of it, scattered as they are, but these new images give you an idea of just how grim things have gotten. 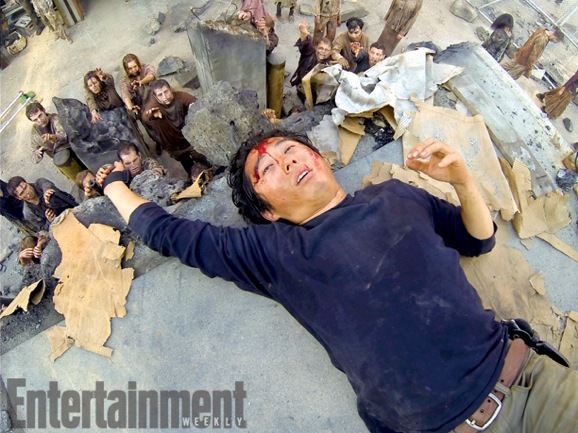 After a two-month hiatus, The Walking Dead will return this Sunday, February 9. 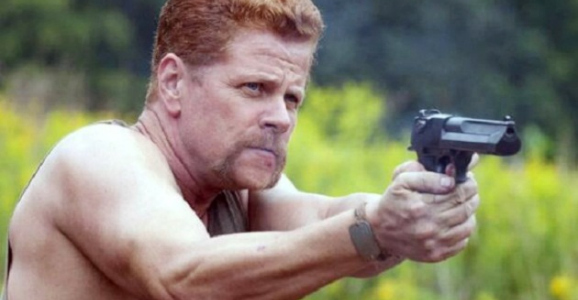 There are only eight more episodes in season four before The Walking Dead goes on hiatus for the summer. It’s going to be interesting to see how everything shakes out for Rick Grimes and his group, which is now separated after the Governor’s attack on the prison. TV Guide dropped some plot details for what fans can expect from The Walking Dead‘s return, including a return for a character you wouldn’t expect. AMC’s zombie hit The Walking Dead is shuffling towards us. After a months-long mid-season hiatus, the ratings juggernaut returns with new episodes on Sunday, February 9. While the fourth season has, overall, been the most consistent outing so far in the franchise, it’s been far from perfect. There has been progress in a number of areas, but moving into the second half of the season, there are a few things we’d like to see, or not see as the case may be, to ensure that the show maintains this upward trajectory. Nothing in the first eight episodes was quite as tedious and drawn out as the flu storyline. One of The Walking Dead’s biggest issues throughout the series has been the show’s steadfast refusal to move on when a storyline has run its course. Seasons two and three were mired in this problem, containing multiple episodes that were little more than filler. So far season four has so far avoided falling completely into that trap—melodramatic as they’ve been, most episodes at the very least advance the story—but this aside teetered dangerously on that lip, and felt like a way to kill time and take up space.